Los Angeles' Chicano Batman have reissued their critically acclaimed 2010 self-titled debut album which has been out of print for many years. The album, available on LP and CD with new cover art, features the fan favorite song “Itotiani.” The LP version is standard 12” black vinyl with an album download code card. 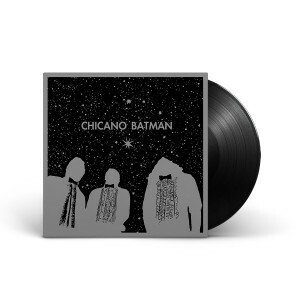 Been waiting to buy a Record Player so I could purchase Chicano Batman's first release on Vinyl. Quality is top tier, speedy delivery and an outstanding work of art. Much love to Bardo, Gabriel, Carlos, Eduardo, and the rest of the team that makes Chicano Batman possible. Much love also to ATO Records for having talented musicians in a time where music seems like a promising hope!